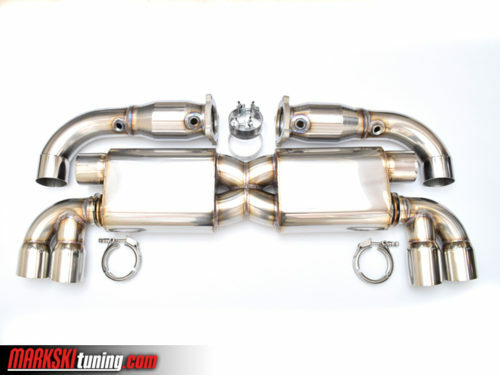 We are proud to offer our hand crafted exhaust system X- design for the 996TT®. We spent countless of hours developing a unique muffler sound by testing various muffler cores along with muffler packing materials. We make the muffler from scratch in house along with our X design cross over. We do not use any over the counter pre made components. Stainless steel V bands and .5″ thick custom CNC machined flanges are welded to the catalytic converters. We offer this exhaust system with 100 or 200 cell catalytic converters which are US made out of stainless steel metal matrix design. And for the spirited driver there is a Off road use only cat-less version. 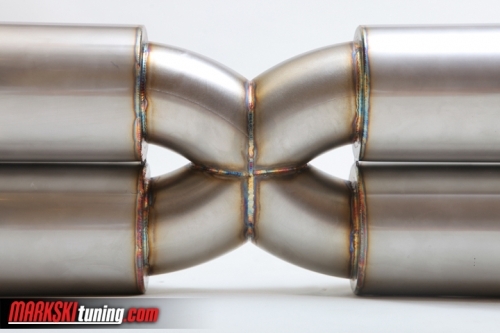 The system is TIG welded and ported inside for maximum flow. During the final stage of production we hand polish to mirror finish. We offer 3″, 2.75″, or 2.5″ OD tubing. Custom tips are available from dual 3″ rolled to straight cut along with titanium blue look. Big mouth single 4″ is optional as well. 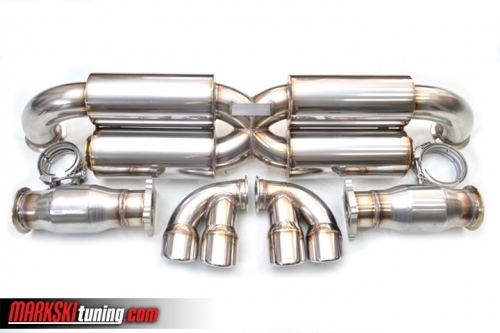 The complete 3″ exhaust system weighs 28 lbs. with 100 cell cats. Our X design exhausts have made astonishing 1250hp/1100tq. 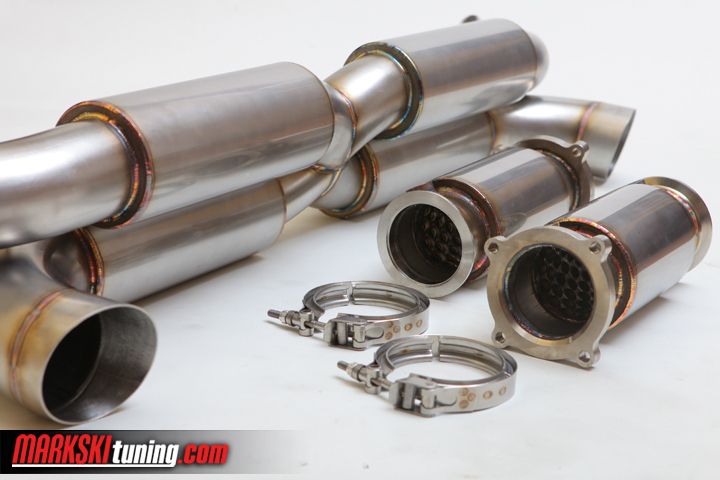 We also offer a a race version X design exhaust system with resonator type mufflers. Click here to view this item. For those who require straight thru cat-less test pipes we offer a full 3″ version with 3″ dual tips. click here to view. We recommend you also check out our other high performance 996 turbo tuning kits such as ecu stage-1 kit and record breaking k16 billet turbo, Also be sure to check out our exhaust system – X-Design sport exhaust in action. Click here to see the video and please call for details at 773-980-6550.